The first vestige of vineyards in the region can be traced back to the first Century, when a new grape variety “the Biturica” was introduced by the Romans. It is in fact the ancestor of the famous Cabernet. 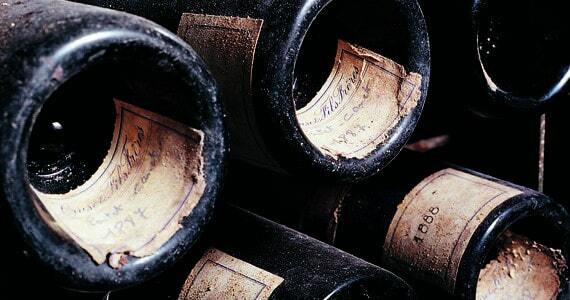 Another key era of the history of Bordeaux is the 12th Century, as well as the following centuries when Bordeaux, as part of the English kingdom, became the biggest wine supplier to England. At this time, the red wines from the region were often referred to as Clarets. Bordeaux also owes its development and success to Ireland. Indeed the 18th Century brought an important wave of Irish migrants who established themselves in the wine business founding Châteaux, or again setting up wine trade agencies, the famous Négoce of Bordeaux. Even the bottle used for the wines produced in the region was conceived by an Irishman. 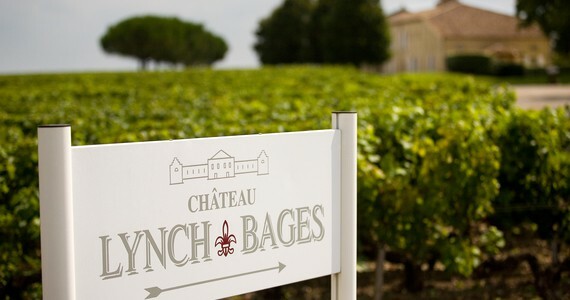 To give just a few examples, Château Lynch-Bages was created by Jean Baptiste Lynch, mayor of Bordeaux and from Irish decent. Also Château Dillon was purchased in 1754 by a noble Irishman, who lent his name to the estate. 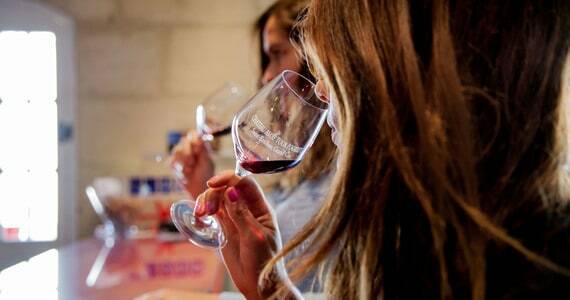 The wines of the region are produced from a blend of several grape varieties. The weather being rather unpredictable, it would be risky to rely on a single grape variety. The varieties blossom and grow at different times, which is ideal to avoid losing the entire crop because of adverse weather conditions. There are 13 grape varieties permitted under the Bordeaux AOC regulations. See below for the four predominant black grapes and the three predominant white grape varieties. Cabernet Sauvignon is prominent in the Haut-Médoc area and also quite significantly present in the other producing areas of the region. 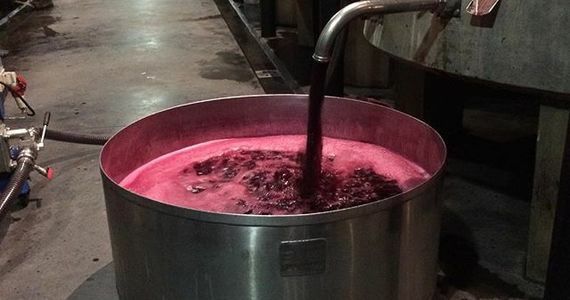 In the finest wines, up to three quarters of Cabernet Sauvignon can be found as part of the blend. It is renowned for giving tannic wines, with blackcurrant notes, favourable for oak barrel ageing. This variety is always mixed with Merlot. Cabernet Franc is mainly cultivated in the Saint-Emilion area, but can also be found in smaller quantities in the Médoc or Graves. It naturally has less body than the Cabernet Sauvignon and tends to be less tannic, but still gives some interesting, marked aromas to the wines. Merlot is the most widely grown grape variety of the region. It is mostly planted around Saint-Emilion and within the Pomerol appellation. It generally gives full-bodied, moderately tannic wines, and adds softness and richness in the blends, whereas on its own it is likely to lack character. Petit Verdot is used in blends only in very small quantities. It gives a deep colour to the wine and also adds tannin and complex spicy aromas. Widely grown in the entire Bordeaux region, Semillon is principally used to make sweet wines due to its affinity for noble rot and its thin skin. It produces wines with a lovely golden hue and a complex full body, with a good potential to age, particularly in oak barrels. In the Bordeaux region, Sauvignon Blanc is blended with Semillon, whereas in many other parts of the world, it is increasingly used as a single varietal. It is renowned for its herbaceous, grassy aromas, floral notes as well as its characteristic acidity. Muscadelle is a white grape variety used as a support, in very small quantities, in sweet and dry white blends. It enjoys distinctive grape and floral flavours. 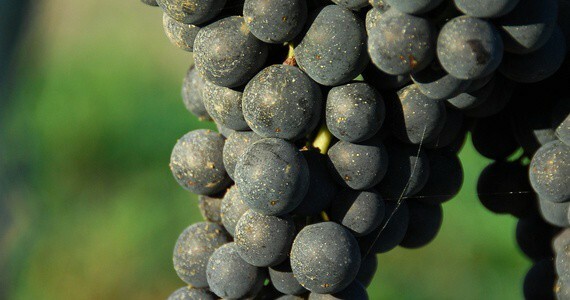 Other grape varieties can be found in the area, for example Carmenère, an ancient variety which disappeared after the phylloxera crisis and has been recently reintroduced in small quantities. Malbec has seen its popularity decrease over the years, but is still grown in some places within the region. 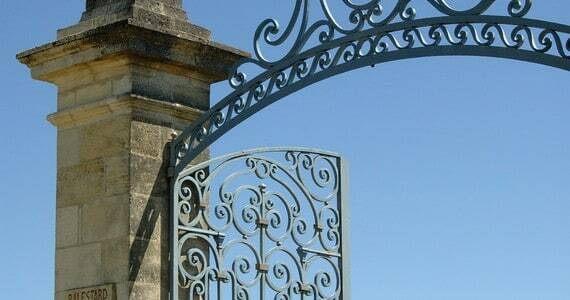 In Blaye, the Colombard variety is still used to produce aromatic white wines. Unfortunately, these wines do not age well. 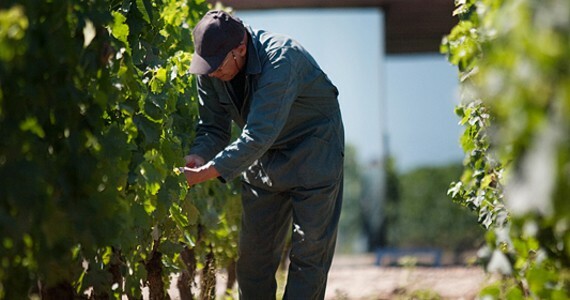 The main reason for the success of wine making in the Bordeaux region is its excellent environment for growing vines. The concept of terroir plays a crucial role in the production of wine here, especially within the premium estates, who strive to produce terroir-driven wines, which reflect the place that they are from. They generally use grapes from a single vineyard. There are two major soil types in the region: gravel and clay-limestone. Gravel can be found in the Médoc and Graves, whereas clay-limestone soils are more common in Saint-Emilion, Pomerol and Entre-deux-mers. The region benefits from a moderate maritime climate, and enjoys relatively warm weather. However, the proximity of the ocean also brings heavy rainfall and a high level of humidity. The Landes forest and the coastal sand dunes ensure the essential protection to the region’s vineyards, especially from the storms. Bordeaux has a truly unique classification system for its wines, which ranks the Chateaux of the region according to several criterion. In 1855, the Bordeaux Chamber of Commerce was asked to provide a list of the best Bordeaux wines for the Paris Universal Exhibition. 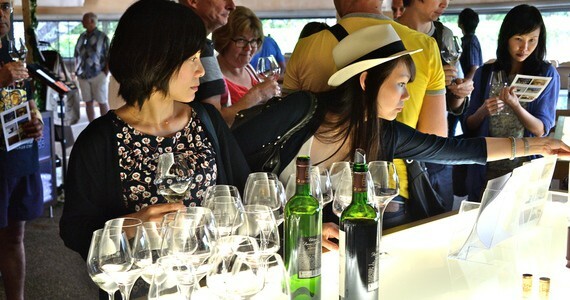 A list was built of the best red Médoc wines and the best white Sauternes wines based on their prices, several unofficial classifications as well as the Châteaux’s reputation. This saw the birth of the Médoc Classification of 1855. It was reviewed only once in 1973 to add Chateau Mouton-Rothschild to the portfolio. With years, it has become an extremely controversial classification, as it has remained unchanged since its creation. However it is argued that the size of the vineyards, the wine-making process and the quality of the wines have evolved across the years. In 1959, the Graves Classification was added to the list of the best reds and whites of the area. Graves wines are not ranked but simply registered, which gives them the privilege title of Cru Classé. Château Haut-Brion is listed in both the Graves and Médoc classifications, and is the only Châteaux outside of the Médoc to be recorded in the Médoc classification. 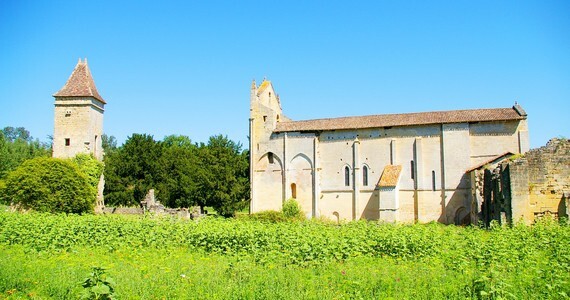 A classification was also established for Saint-Emilion in 1955. It is the only list to be reviewed every 10 years. It remains quite debatable, as a lot of the jury members are actually owners of the classified Châteaux. Bordeaux has an unusual trade system. 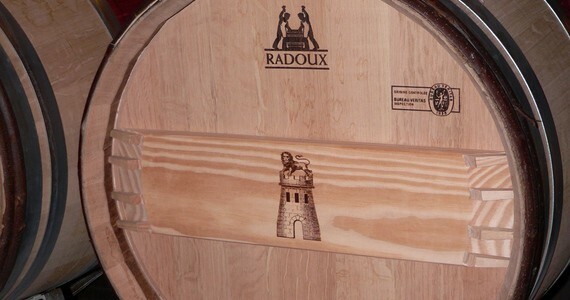 Châteaux and co-operatives do not sell their wines directly to merchants. Instead, the sales are made through an intermediary, the Courtiers, who are brokers arranging the transactions between producers and Négociants (merchants). Historically, different brokers worked in specific geographical sectors and therefore had unrivalled expertise in the areas they operated in. It was very convenient for the merchants, who enjoyed the advice from specialists, but also for the Châteaux and co-operatives, who were spared the need to invest in their own sales departments. This system is often referred to as La Place de Bordeaux. Producing wine is a long-term investment. Because the wine making process, and most of all the ageing part, is so long, the return on investment can take a while to reach fruition. This has to be seriously taken into consideration by the prestigious Châteaux. In order to solve this problem, some properties choose to sell some of their wines “en primeur,” that is to say in the year following the harvest. In general the primeur are released after the wines have been rated by critics. The price of the wine includes all costs up to the bottling stage. The wine is then kept at the property until it reaches two years old. Usually this type of sale allows the customers to benefit from lower prices, however with the concept becoming increasingly popular, prices have increased significantly in recent years. Also, this can give the opportunity for the customer to secure wines produced in small quantities, which can then be hard to buy once released as a consequence. 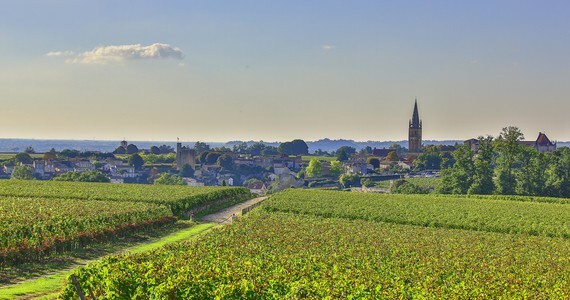 The left bank of the Gironde and Garonne rivers, north-west and south-west of Bordeaux, is divided into three famous wine producing areas: the Médoc, Graves and the Sauternes. The territory between the river Dordogne and the river Garonne is called the Entre-Deux-Mers which literally means “between two seas”. 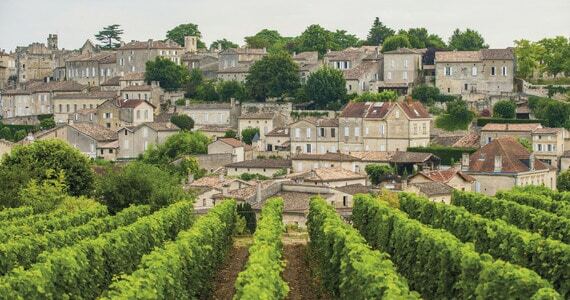 The well-known Saint-Emilion and Pomerol sectors are located on the right bank of the Garonne and Dordogne rivers, east of the dynamic city of Bordeaux. There are 50 different appellations in the Bordeaux wine region. Some are of considerable size, such as the one which covers the whole vineyard area. Alternatively some are quite small, such as the ones covering communes. These regions, mostly producing red wines, have a characteristic soil type essentially made of gravel. Medium to full bodied wines are produced within these areas. Reds tend to be well-structured, robust and powerful with red fruits aromas (red and black berries, cherries, blackcurrants…) and notes of spices, chocolate or wood. They pair well with roasted meat, barbecue, pasta but also chocolate dishes. 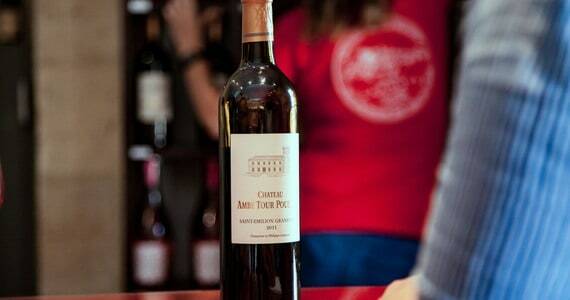 Within the Médoc sub-region, the best reds are produced in the Haut-Médoc area. The Haut-Médoc is composed of the famous appellations of Margaux, Pauillac, Saint-Estèphe and Saint-Julien. 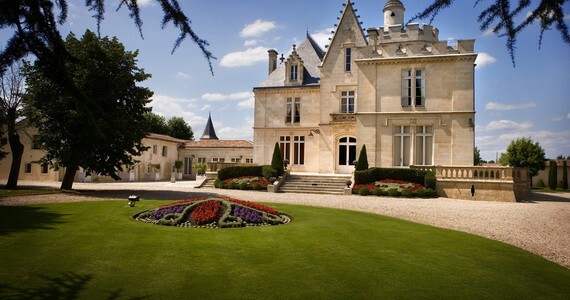 Famous properties of the Médoc include Château Giscours, Château d’Agassac, Château d’Issan, Château Margaux, Château Beychevelle, Châteaux Lafite-Rothschild and Mouton-Rothschild, Château Latour, Château Lynch-Bages, Château Pichon-Longueville and Château Lalande amongst others. Within the Graves sub-region, the best reds are grown in the Pessac-Leognan AOC. Famous names in Graves include Château Carbonnieux, Château Haut-Bailly, Château Haut-Brion et la Mission Haut-Brion, Château Latour-Martillac, Château Olivier, Château Pape-Clément and Château Smith-Haut-Lafitte. Clay soils can be found throughout the Saint-Emilion and Pomerol areas. The reds are often complex, full bodied, intense and opulent. They also boast a generous and velvety structure. They enjoy red fruits aromas (raspberry, strawberry, redcurrant, cherry…) as well as plum and prune flavours with notes of pepper, spices, leather and even truffle and game at times. They can be paired with all types of meat, hamburgers and barbecue dishes, quiches, cheeses (especially soft ones), pasta or again brownies. Renowned estates of Saint-Emilion include Château Angélus, Château Ausone, Château Cheval Blanc, Clos des Jacobins, Couvent des Jacobins, Château La Dominique, Château Figeac, Château Pavie, Château Beauséjour and Château Canon. 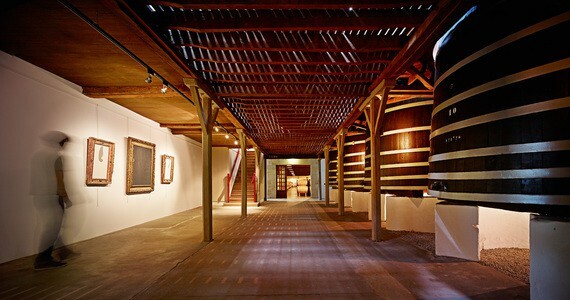 For the Pomerol sector, one can list Château Clinet, La Clemence, Château Lafleur, Château Pétrus, Château Le Pin or Vieux-Château-Certan. 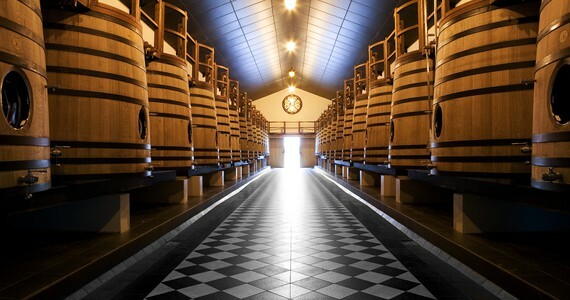 Sauternes is the area where the best sweet white wines of the region (and arguably in the world) are produced. The area, bordered by two rivers, the Garonne and the Ciron, is nearly entirely dedicated to sweet wines. The difference of temperature between the two rivers favours the early-morning mists around their confluence, which evaporats by midday and therefore create ideal conditions for the development of noble rot. The soil types are diverse and generally composed of a mix of chalk, limestone, sand, clay and gravel. The sweet white wines produced in the Sauternais have a golden, amber colour. Their powerful but elegant bodies give intense aromas of flowers and fruits such as quince, mango, pineapple, stewed peach, dried apricot and passion fruit, as well as touches of linden, acacia, mimosa and honeysuckle. 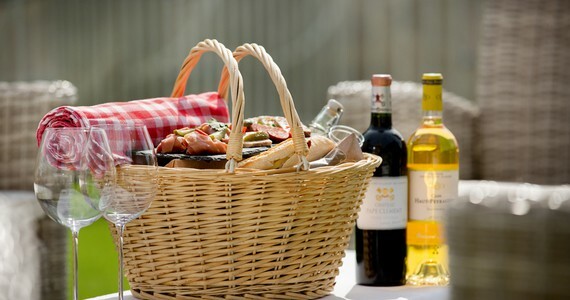 Thanks to the Semillon, notes of almond and hazelnuts are also present in Sauternes wines. They are often paired with foie-gras, fish and fruit pies. The best-known properties of the area are Château d’Yquem, Château Climens, Château Clos Haut-Peyraguey, Château Coutet, Château Guiraud, Château Lafaurie-Peyraguet, Château Rayne-Vigneau, Château Suduiraut, Château La Tour Blanche, Château d’Arche, Château Caillou, Châteaux Doisy-Daëne, Doisy-Dubroca and Doisy-Védrines, Château Filhot, Châteaux Lamothe-Despujol and Lamothe-Guignard or again Château Nairac. The soil of the region is essentially composed of limestone with a fair amount of variations depending on the sector (from sand and gravel in the western and southern areas, to silt and sand in the eastern and northern part). The Entre-Deux-Mers is well-known for its dry white wines. They usually have a pale yellow colour, and have a lively, smooth and fresh structure. They enjoy lovely notes of citrus, yellow flowers and exotic fruit, and pair well with paella, tapas or again fish dishes. 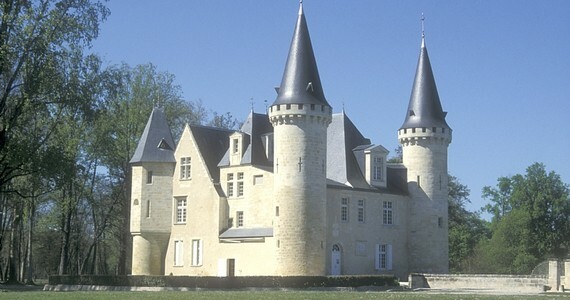 Famous Châteaux of the Entre-Deux-Mers region include Château de Reignac, Château Bonnet, Château Marjosse, Château Grée Larroque, Château Pey La Tour or again Château Thieuley.